While it’s not necessary to go to school to be a Web designer, a degree puts you ahead of the growing crowd of designers competing for jobs in the freelance market and allows you to apply for salaried staff positions. A Web design degree is similar to a degree in graphic design, and both of these degrees are available from two-year colleges and design schools. Your training will teach you design fundamentals such as color mixing, composition, art direction and layout design, and it will go into more depth on subjects specifically related to Web design, such as UX design, script programming and information architecture. As a Web designer, you will be focusing on the design side of website building, while dedicated Web programmers focus on developing applications and dynamic, database-driven interfaces. The school you choose makes a difference in the career you have after graduation. If you’re ambitious, you should enroll in an art college and learn about design from the artists who teach courses at these schools because they have valuable perspective that will help you be a better designer. Becoming a better designer is a matter of building confidence in your creativity, and if you want to be a good enough artist to design websites for major clients, you need to build up quite a bit of confidence, which art teachers can help you do. However, these schools cost quite a bit more than community college programs, and they aren’t necessary for establishing a career in web design. It really is a good idea to at least get a two-year degree from a community college to make yourself competitive because otherwise you will only be able to make money as a freelancer or sole proprietor. In this situation, you will be competing with millions of Web designers all over the world who are willing to work for far below the cost of living in the United States, and you may not be able to become established. These skills and opportunities are the extent of what you gain from web design school. 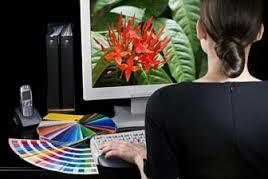 You should be interested enough in design itself so that you wouldn’t mind getting a degree in art or graphic design. The first year of web and graphic design programs are identical at many schools. You would benefit from learning PHP and Python programming, but you may not take any courses on these languages in design school. Web design doesn’t involve much computer science, other then the basics of how an image file stores colors and how a monitor displays them.